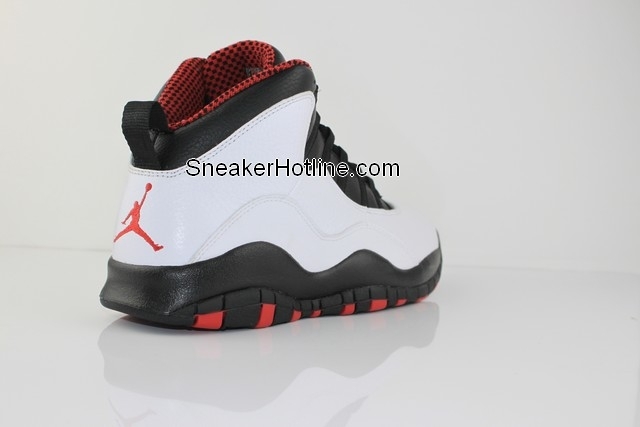 It seems as if 2012 will be the year for re-releasing Air Jordan colorways that have never been retroed. 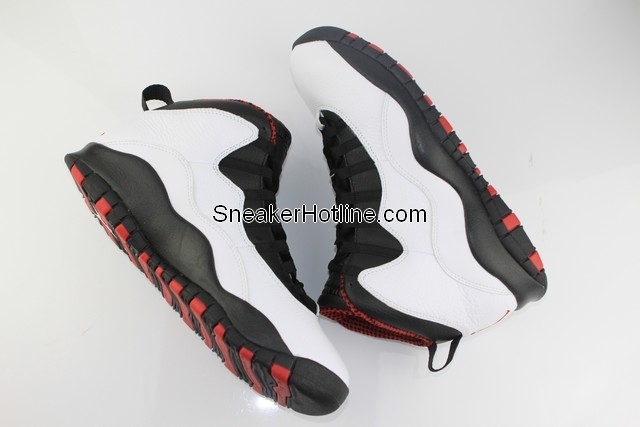 It seems as if 2012 will be the year for re-releasing Air Jordan colorways that have never been retroed. On Tuesday, we got our first live look at the upcoming "Obsidian" Air Jordan Retro 12 release. 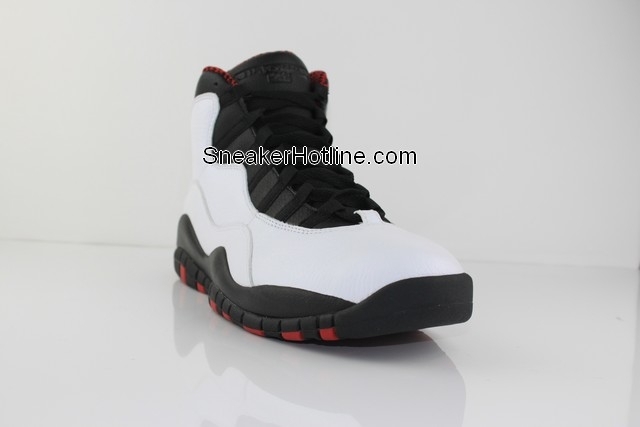 Today, the first images of the highly-anticipated "Chicago" Retro 10, which will hit stores for the first time since 1995 in January. What appears to be the final product is slightly different from the original and early retro samples we've seen thus far. The shoe sports a white tumbled leather upper with black leather running along the collar and eyestay. Black also works the laces, tongue and heel pull-tab. Varsity Red appears on the checkered interior pattern and heel Jumpman embroidery, a change from the black Jumpman logos seen on the original. Unlike a sample pair that was floating around a few months back, there is no "23" embroidery on the ankle and the midsole is indeed black. 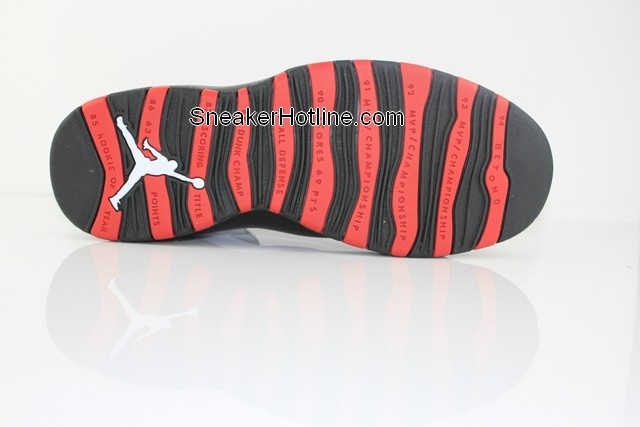 Like the original, red and black stripes and white Jumpman branding finish off the outsole below. 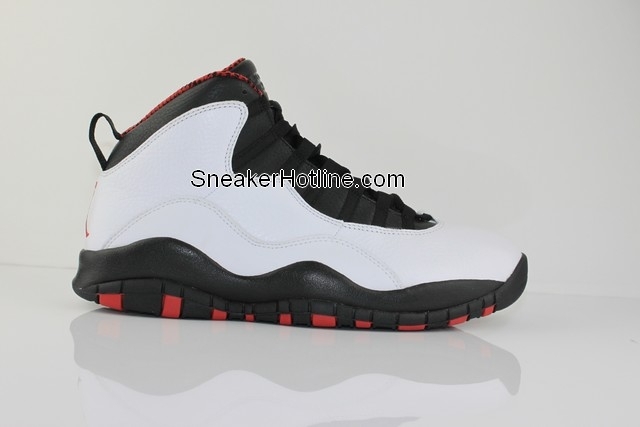 Look for the "Chicago" Air Jordan Retro 10 to hit retailers like Eastbay on January 21st. Quantities will not be limited and there should be plenty of pairs for everybody. Retail will be $160. While you're waiting, take a look back at Michael Jordan wearing the "Chicago" 10 in Bulls games.